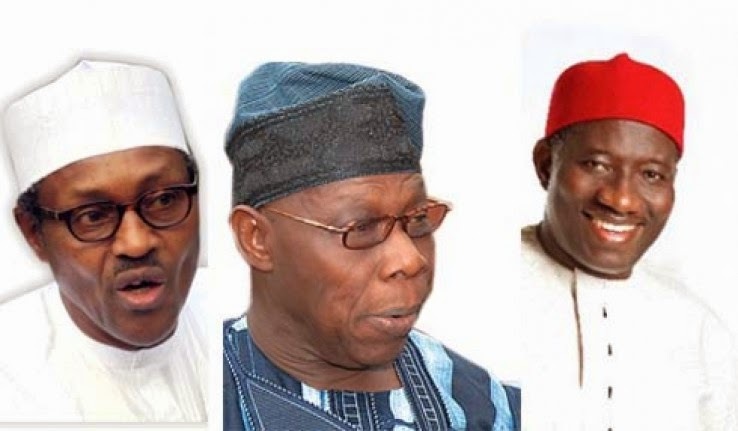 has shown that Both General Buhari and Former President Olusegun Obasanjo's tenure were more corrupt. According to the Corruption Perception Index (CPI) which ranks every country in the world in accordance with perceptions of the degree of corruption as seen by business people and country analysts, the GEJ led administration has fared better than every other in its 5 years in office. The latest report as of 2014 scored Nigeria 27, 136th less corrupt in the world, a feat neither General Mohammadu Buhari or Olusegun Obasanjo's led administration could attain. In fact, according to the report, General Olusegun Obasanjo's regime as a civilian President between 1999 and 2003 saw the country plunge to a record lowest ever CPI of 13.3 thereby ranking the second most corrupt country in the world and the most corrupt in the year 2000. Nigeria's standing on the CPI table puts her in par with country’s like Russia, Iran and Cameroun with Ukraine, Paraguay, Congo DR and CAR all raked below her. 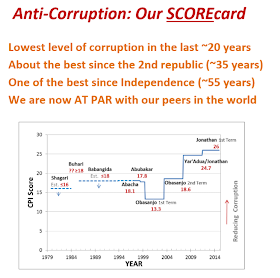 The TI Corruption Perception Index, CPI is a rating of countries from 1 to 100 showing their corruption scale. A rating of 1 is the worst and rating of 100 means a country is completely free of corruption. 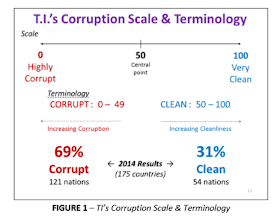 50 is the pass mark and any country below 50 is considered a corrupt country. Transparency International is a non-governmental organization that monitors and publicizes corporate and political corruption in international development and is known to be factual, unbiased.